Wikileaks - down and out? Wikileaks has hit a massive hurdle in its plight to reveal the truth about the world's nations, with news that it's effectively lost its domain due to its hosting server removing DNS support. 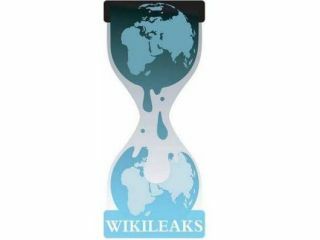 At the moment Wikileaks.org is nowhere to be seen and this is because – according to the Guardian – US company evryDNS.net has withdrawn its support. The recent DDOS attack on the site was a step to far for evryDNS.net who said the attacks "threaten the stability of the EveryDNS.net infrastructure, which enables access to almost 500,000 other websites". This is a major blow to Wikileaks, who was recently thrown out of its temporary home on Amazon's cloud-based server. Wikileaks took refuge there when the DDOS attacks took place and effectively used Amazon's server to deliver the US cables that have moderately shocked all with revelations that there is political in-fighting between some of the biggest countries. That, and Princess Andrew spoke out of turn about something. According to various reports on Twitter, if you really want to access Wikileaks then you can do so by going to its mirror http://88.80.13.160. This 'quad IP' address will not suffice, though – if the site is to stay in the public consciousness it will need to get the domain Wiklieaks.org back online. According to evryDNS, it gave the site 24 hours to sort itself out with another provider, saying: "Any downtime of the wikileaks.org website has resulted from its failure to use another hosted DNS service provider." A site of this importance and relevance won't stay down for long, but there does seem to be a concerted effort to make sure it's disrupted from doing what it's doing for as long as possible. According to The Next Web, Wikileaks is back online thanks to a domain server is Switzerland. For now the new web address for Wikileaks is Wikileaks.ch, which is redirecting to a specific IP address: http://213.251.145.96/.